The W B Yeats Landscape surrounds the town of Gort in the Burren Lowlands in County Galway. This was where Yeats lived for twelve summers. The limestone region hosts a mysterious river that keeps disappearing and reappearing. There are some wonderful rare geological formations to explore as well as some ancient holy sites. We visit a deep river cave and a series of collapsed caves in ethereal woodland. This is a locally alleged site of Yeats’ muse as he frequented the spot and picnicked here with his benefactor Lady Gregory. Here you can hear the healing sounds of the drum and gong played to add to the atmosphere and help you merge with the wonders of nature. Further up a magical tiny road that follows the river Beagh, we stop at hidden sites such as a holy well and a church that has been there since at least the ninth century. This church was probably part of a longer pilgrimage route to Holy Island on Lough Derg. We can dowse with divining rods the water and energy lines there. Next along the road is a delightful thatched cottage whose owner invites you for tea and great home baked goods in her sheltered courtyard. Finally we can explore and learn the sad history of a Mass rock and “bullaun” set in a stone circle close to an old settlement long gone. 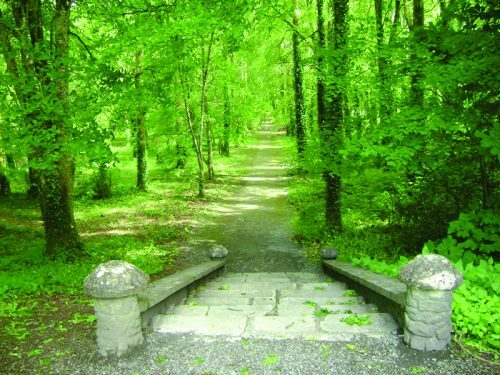 If you want to extend this tour to a full day you can have lunch in Coole Park, former estate of Lady Gregory and walk through the dry turlough in Summer to the adjacent native woodland of Garrylands. This all the old haunt of Yeats and so is most definitely part of the W B Yeats landscape. Alternatively you can visit Thor Ballylee, the historic towerhouse where W. B. Yeats wrote his poems. He was a regular visitor to Coole Park where Lady Gregory lived. Together they helped set up the Abbey Theatre, Ireland’s premier Irish-speaking theatre about one hundred years ago. 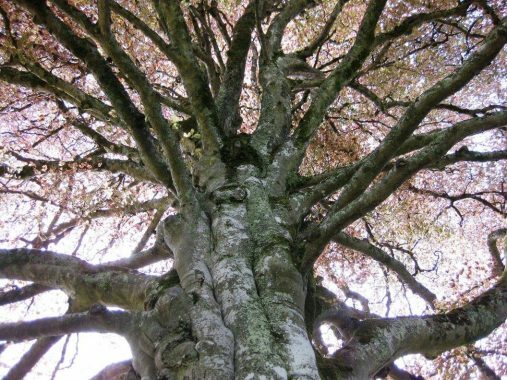 In Coole Park you can visit the Autograph Tree where many famous writers inscribed their names. 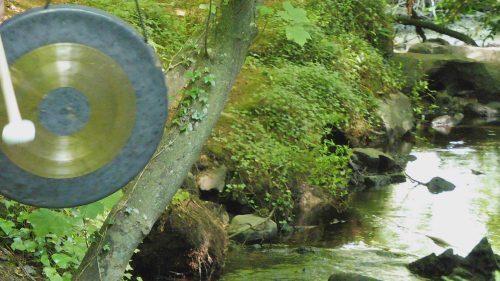 At Thor Ballylee you can listen to Jackie recite some of his poetry in English, and we can enjoy a short river walk to the old mill nearby.